Sir Mark Walport, chief scientific adviser to the British government. The visit this week to Nairobi, Kenya, by Sir Mark Walport, Britain’s chief scientific advisor, comes as the Kenyan government commits new investment for science, technology and innovation as a key to economic growth. Kenya occupies a strong position in Africa’s research landscape; it is second only to South Africa in research and productivity and shows consistent rates of growth. Sir Mark will visit the Global Alliance for Livestock Veterinary Medicines (GALVmed) offices on Tue 14 July. Part-funded by UKaid, GALVmed is a £70 million (approx Ksh11 billion) public-private partnership established to address the critical shortfall in livestock vaccines and medicines for animals. The visit will discuss GALVmed and partners’ market scale up of livestock vaccines and the regional engagement in Africa. That same evening, 14 Jul, Sir Mark will host a talk and reception at the British High Commissioner’s Residence titled: ‘Evidence-based policy making—Linking government, academia and private sector’. The talk will centre on the role of science and research and higher education as keys to achieving economic growth for Kenya as it becomes a middle-income country. The reception will be the first major event where the British High Commission hosts UK partners in research and higher education. In attendance will be chancellors and vice chancellors of many of Kenya’s universities as well as high-level officials from the Ministry of Education, Science and Technology; the British Council; private-sector organizations with links to academia; and research funding organizations. The following day, on Wednesday 15 Jul, Sir Mark will visit the Nairobi headquarters of the International Livestock Research Institute (ILRI), tour its state-of-the-art Biosciences eastern and central Africa-ILRI Hub laboratories, and have lunch and discussions with ILRI directors and scientists. Sir Mark’s visit to ILRI will highlight the long-standing UK-Africa institutional collaborations that are critical in addressing some of the biggest challenges to Africa’s small-scale livestock production, Africa’s food security and Africa’s advanced agricultural research work. The UK, for example, provides ILRI, GALVmed and ILRI’s other partners with essential funding to develop and deploy vaccines against Africa’s most devastating livestock diseases. UKaid and research institutions also underpin ILRI-partner research to increase the productivity, efficiency and resilience of livestock-based farming and pastoral systems that are the mainstay of smallholder food production on this continent. 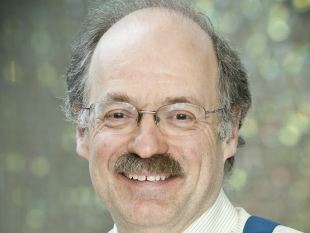 Sir Mark Walport was appointed Government Chief Scientific Adviser (GCSA), and thus co-chair of the Prime Minister’s Council for Science and Technology, and Head of the Government Office for Science in April 2013. ILRI will report further on this event on the day of Sir Mark’s visit to ILRI, Wed 15 Jul 2015. Bloomberg: UK Government Chief Scientific Adviser to visit Nairobi, 13 Jul 2015. Afrik News: UK Government Chief Scientific Adviser to visit Nairobi, 13 Jul 2015. Tags: GALVmed, Sir Mark Walport. Bookmark the permalink.